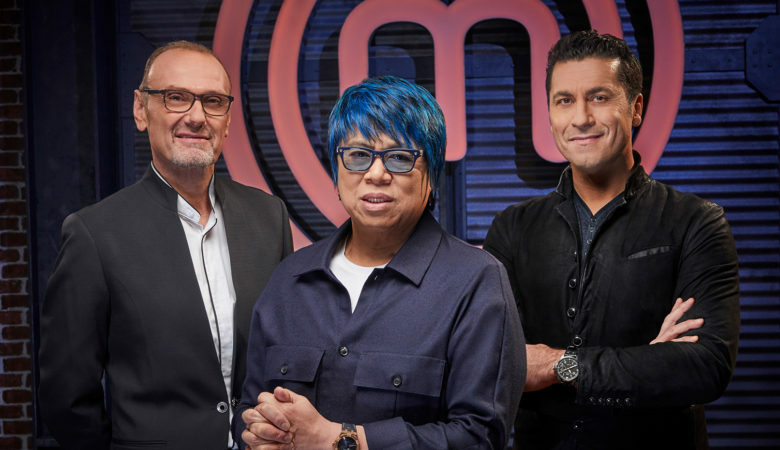 Featuring judges Michael Bonacini (O&B restaurant empire), Alvin Leung (Bo Innovation in Hong Kong), and Claudio Aprile (Copetin in Toronto), MASTERCHEF CANADA offers the country’s best home cooks a chance to win $100,000 and the life-changing MASTERCHEF CANADA title. Each week the home cooks are pushed to the limit in a series of Mystery Box Challenges, Team Challenges, Elimination Challenges, and Pressure Tests. Each task is designed to test and hone the home cooks’ skill, knowledge, passion, and creativity. 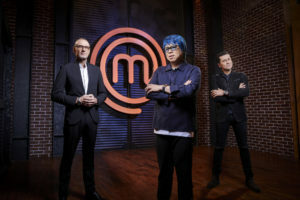 At the conclusion of each episode at least one person is eliminated until there are only two home cooks left vying for the life-changing MASTERCHEF CANADA title. Celebrity chef Michael Bonacini is the co-founder of Oliver & Bonacini Hospitality, one of Canada’s leading restaurant and event groups. With locations in Toronto, Montreal, Saskatoon, Calgary, and beyond, O&B’s diverse portfolio includes a collection of unique and innovative restaurants, event spaces, a bakery, and several strategic partnerships. 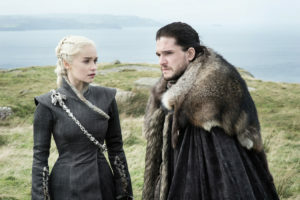 Born and raised in Tenby, South Wales, his North Italian father and Welsh mother both had a huge impact on their children’s culinary upbringing – his sister is also a chef. Bonacini spent his youth helping out with the family-run hotel business, where he learned the ins and outs of the hospitality industry. Bonacini trained classically under Chef Anton Mosimann at London’s Dorchester Hotel, before immigrating to Canada in 1985 and partnering with veteran restaurateur Peter Oliver in 1993. His first restaurant collaboration with Oliver was a New York-style bistro named Jump. 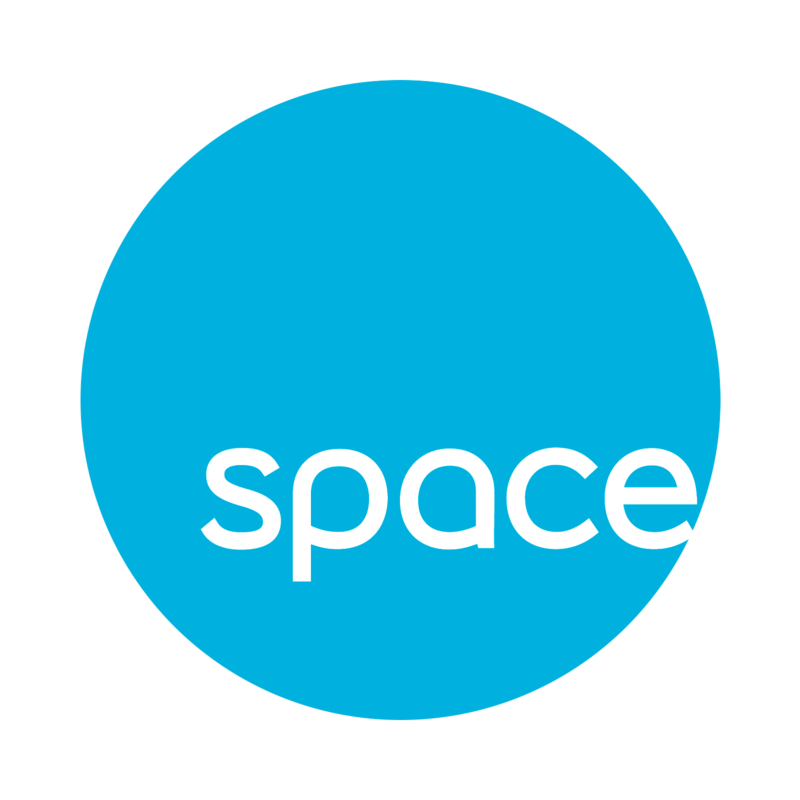 Today their operations have grown to include à la carte dining, quick service, catering, and private dining, with restaurants and event venues across four provinces. Bonacini was among the first chefs to showcase regional Canadian cuisine with his ground-breaking restaurant Canoe. In 1996, he was awarded the Ontario Hostelry Institute’s first ever Gold Award in recognition of his significant contribution to culinary excellence in Ontario. 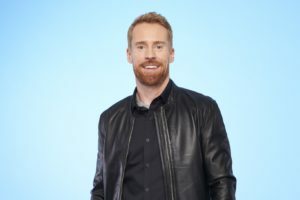 He was the host of COOK LIKE A CHEF and has been a recurring guest chef on daytime talk shows including CTV’s THE MARILYN DENIS SHOW. In 2010, Bonacini released his first cookbook, 3 Chefs: The Kitchen Men, a collaborative effort with fellow television chefs Massimo Capra and Jason Parsons. Bonacini’s restaurants include: Jump, Canoe, Auberge du Pommier, Biff’s Bistro, Oliver & Bonacini Café Grill (four locations), Luma, O&B Canteen, Bannock, R&D, Beaumont Kitchen, Leña, and Liberty Commons. Beyond Ontario, O&B’s portfolio features The Guild and Sub Rosa in Calgary, Bar George in Montréal, and Shift in Saskatoon. The company’s private dining and events division, Oliver & Bonacini Events and Catering, manages a number of large scale event facilities, including Malaparte at TIFF Bell Lightbox, Toronto Region Board of Trade, Arcadian at Hudson’s Bay Queen Street, The Carlu, Le Mount Stephen hotel in Montréal, the Hudson event complex in Calgary, and Remai Modern Art Gallery. Oliver & Bonacini Hospitality credits its success to the development of a strong corporate culture, where excellence of food quality and service are valued above all else. With his trademark colour-streaked hair, cross earrings, and sunglasses, Chef Alvin Leung has blazed a trail of his own in the culinary arts. Leung’s culinary innovations and larger–than-life personality has established him as a global star on the international food scene. As owner/executive chef of Hong Kong’s acclaimed modern Chinese restaurant Bo Innovation, Leung’s unique ‘X-treme Chinese’ cuisine modernizes centuries-old ingredients and traditional recipes with modern techniques and flavours, delivering novel dishes in tune with contemporary palates. 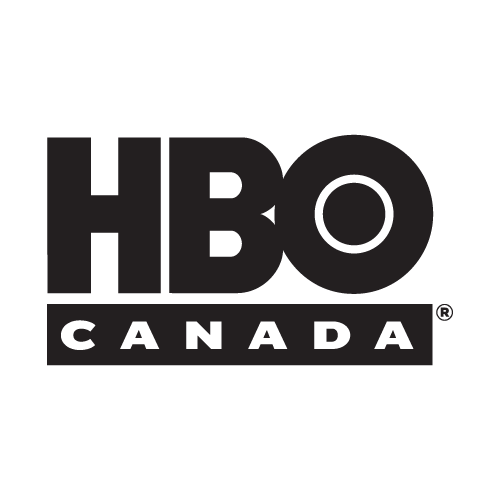 Born in London, England, Leung grew up in Scarborough, Ontario. He remains a dedicated Toronto Maple Leafs supporter. The self-taught ‘Demon Chef’ began cooking professionally in 2003 at a private restaurant, which evolved into Bo Innovation. Trained professionally as an engineer, he takes a methodical approach to every dish. As a result, Bo Innovation has retained its three Michelin star status for six straight years. In addition, Leung operates numerous other restaurants in Hong Kong and across Asia, including Korean concepts, a Spanish diner, and a popular Peking duck eatery. In Toronto, Leung, with MASTERCHEF CANADA Season 1 winner Eric Chong, run R&D (Rebel & Demon) in the heart of Chinatown. Leung’s outlandish personality and flair has made him a sought-after guest at food events and culinary conferences across the world. He has become a familiar face on TV in Canada and Asia, as the host of THE MAVERICK CHEF and WOK STARS. He also starred in Korean food and travel programs, SEOUL EXTREME and SEOUL REFINED. Claudio Aprile is Chef and Owner of Copetin Restaurant and Bar, serving inventive, elevated Canadian cuisine informed by the diverse food personalities of Toronto’s ethnic neighbourhoods. Located at the corner of King and Church in Toronto, Copetin features a stylish dining room, relaxed bar, and lively patio. Aprile was born in Uruguay, grew up in Toronto, and has travelled, lived, and worked internationally. Throughout his 30+ year career, Aprile has passed through some of the most renowned kitchens around the globe. Bali Sugar in London, England earned him outstanding reviews as a young executive chef, where he received local and international critical acclaim. In 2000, Aprile cemented that reputation at Senses in Toronto where he wowed critics and diners alike with his innovative use of experimental cooking techniques. Aprile’s first restaurant, Colborne Lane, opened to immediate success and was lauded as one of the best restaurants in the world. Launched in 2010, Origin restaurant was voted #1 restaurant in Toronto by Toronto Life and NOW Magazine. Food Dream: To open a small, local restaurant in Tusket, N.S. Maritimer Alyssa hails from Tusket, N.S., from a family of hunters who feel most at home when surrounded by nature. Having to contend with two rowdy older brothers allowed Alyssa to develop a competitive edge that is sure to come out in the MASTERCHEF CANADA Kitchen. After sustaining serious injuries in a car accident three years ago, Alyssa spent time in the hospital daydreaming of food and cooking, and spending hours watching culinary television. Inspired by her grandfather who is a chef, Alyssa’s passion for food got her through this difficult time, and she’s eager to follow in his footsteps by becoming one of Canada’s top home cooks. Andre’s passion for food began in his family’s home country of Jamaica, where his dad ran a successful restaurant. Since relocating to Canada, Andre has worked hard to hone his skills, hoping to beat his dad and become the best chef in the house. Over the years he has taught himself to elevate and modernize classic Caribbean dishes, dreaming of opening a catering company with his dad that blends their two unique styles. As a housekeeper in a hospital operating ward, Andre feels that his job has prepared him for the pressure of the competition. His ability to be organized and detail-oriented with no room for error has led to a signature sophisticated plating style that he hopes will make him stand out from the other home cooks. Chanelle grew up engrossed in the restaurant industry with her parents, operating two large-scale eateries in Calgary. Though her family has left the business, Chanelle has caught the restaurant bug and aspires to be a savvy businesswoman, already building spreadsheets and creative ideas for her own restaurant plans. Recently married, Chanelle and her husband love to spend their weekends creating upscale romantic meals for two inspired by her Greek and French backgrounds, where food is at the root of every celebration. Chanelle hopes to keep the MASTERCHEF CANADA judges guessing with the combination of sophistication and artistic flair she brings to her dishes. Originally from Texas, Cliff began cooking at a young age with his mother and grandmother, who passed on their expertise in classic American comfort food. They believed cooking is an essential life skill and wouldn’t let him leave the house without it – a sentiment he has since passed on to his four daughters. While living as a single father, one of Cliff’s daughters forced him to expand his repertoire thanks to her picky tastes, and to this day she is still his toughest critic. Following his move to Canada, Cliff decided he’s up to the challenge of infusing Texas classics into the Canadian culinary scene. Colin is a Newfoundlander through and through, growing up watching his grandmother and dad in the kitchen where they served up East Coast specialties. Trained as a firefighter, Colin was laid off and took a job as a car salesman, putting his food-fueled dreams on hold. Colin regrets not pursuing a culinary school education, but his food style is true to his roots, and he’s particularly skilled with seafood. 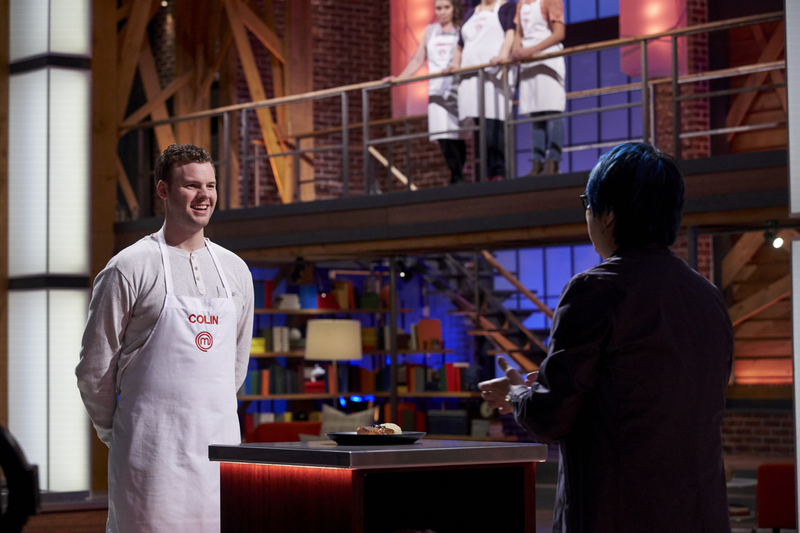 A big fan of MASTERCHEF CANADA Season 5 runner-up, Andy, Colin hopes he can follow in his footsteps as the next East Coaster to go far in the MASTERCHEF CANADA Kitchen. Cryssi had a tough childhood, growing up shy from being bullied at school. She took refuge at home cooking with her mother and grandmother, and building her confidence in the kitchen. Determined and driven to succeed, Cryssi left her job behind in Thunder Bay in order to compete for the MASTERCHEF CANADA title. She is proud of her Portuguese family’s influence on her cooking, making wholesome, hearty food for even the pickiest of eaters. Cryssi especially loves to cook for her husband and best friend, Mark, who has helped expand her culinary repertoire following his multiple sclerosis diagnosis. Cryssi refuses to let life’s challenges get in her way, and is ready to conquer the MASTERCHEF CANADA Kitchen. Food Dream: To earn the title of “MasterChef” and open a rural culinary outpost – a “supper and sleep” – full of food experiments, farming, animals, tasting menus, warm hospitality, community, and wonder. Growing up in small town Nova Scotia, Jennifer’s parents weren’t much for cooking, but they idealized their aunts who could create magnificent meals. With limited resources available, including no internet, Jennifer studied their mom’s one and only cookbook page by page to master each recipe. Upon moving to Toronto, Jennifer began cooking more for their friends and learned to channel their East Coast roots in making elevated versions of every day classics. 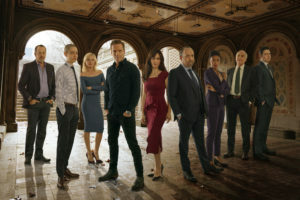 After years of schooling and a career in government policy, Jennifer is ready to make the leap in pursuing their passion in the MasterChef Canada competition. Jenny, her husband, and their four children live on a 50-acre farm in Nova Scotia, moving to the property to follow their dream of living a simple life. Over the last nine years, they have restored a 200-year-old farm house that had a dirt floor and no bathroom when they moved in. It’s in this rustic setting where Jenny began cooking for the first time, now spending up to 10 hours a day in the kitchen using the vegetables grown in their gardens. Her mostly-vegetarian dishes are made from scratch using very few modern conveniences – she only recently got her first vegetable peeler. 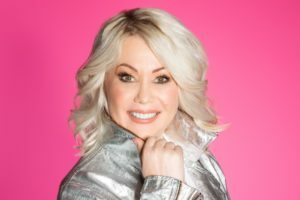 Cooking for Jenny has become a form a therapy, and she is ready to take on the challenge, and technologies, of the MASTERCHEF CANADA Kitchen. Josh was born to a large Ukrainian family and raised in Saskatchewan. His love of homey comfort food grew from spending childhood summers at the family farm, picking fresh produce and buying meat from neighbours. Watching his “Mama” and “Baba” cook for the entire family inspired him to continue these traditions with his own family. Josh works in a group home with disadvantaged youth, and is still a big kid at heart. In addition to his playful side, Josh is highly competitive and hates to lose. His determination has kept his culinary dream alive, finally earning his way to the MASTERCHEF CANADA Kitchen after six years of auditioning. Rozin was determined to learn to cook after messing up a simple mashed potatoes recipe in university. Not one to accept failure, he decided to master the science of cooking and baking, developing wild creativity during his self-taught culinary journey. Rozin’s family is originally from Iraq, and he suffered years of racist bullying in high school following the events of 9/11. He channelled his insecurity from this time and became a high-achiever, determined to go above and beyond in everything he does. His goofy persona and sharp intellect bring extravagance to his cooking, which is rooted in inspiration from his mother and grandmother. Steven and his twin brother were raised by a single mother. He learned to cook from his grandfather, who was the sole father figure in his life. When his grandfather passed away, Steven was devastated and continues to cook in his honour. He loves to make classic French food, focusing on complex sauces and meats. Steven is especially equipped for the competition due to his profession as an international figure skater. 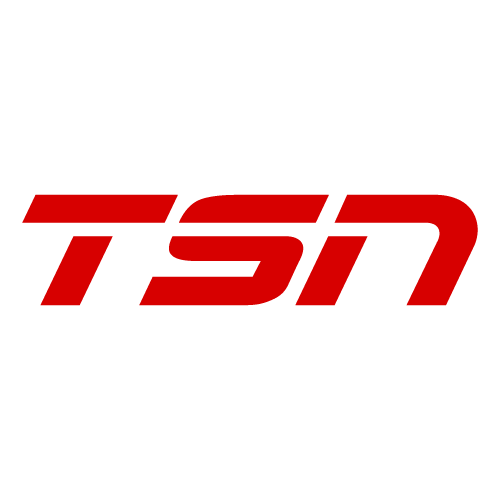 After a disappointing program at the 2017 Nationals, Steven is determined to redeem himself and prove that he won’t choke under pressure in the MASTERCHEF CANADA Kitchen. Tony grew up in a small town in Southern Italy, where he learned to cook traditional Italian food. At age 17, he relocated to Canada, eventually becoming a high school teacher for 30 years. Since retiring from teaching, Tony has become a professional soccer coach and is a respected leader and mentor. Throughout his life, Tony has cooked Italian dishes for his family, passing on his love of cooking to his children and grandchildren in their tightknit family of 10. Tony’s style is to put a modern spin on Italian classics, which he hopes will take him to the top in the MASTERCHEF CANADA Kitchen. 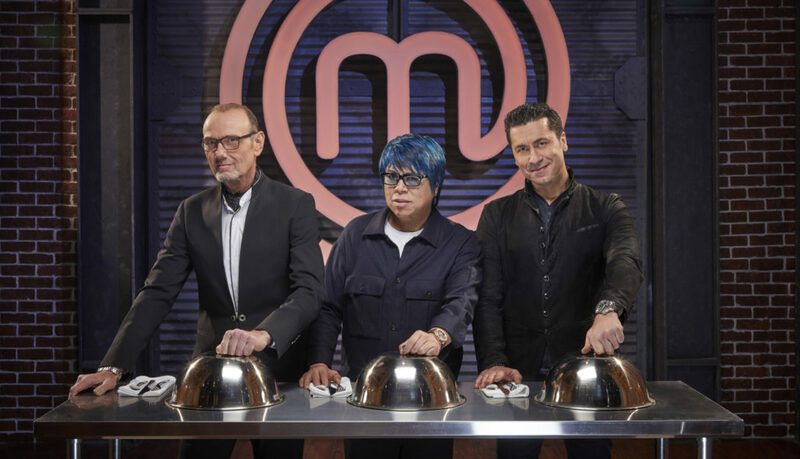 "MasterChef Canada Invitational" & "Home Cooks, Your Roots Are Showing"
In a special two-hour premiere, MASTERCHEF CANADA’s esteemed judges kick off the new season by each personally inviting six of the country’s best home cooks to compete as Top 18 finalists. 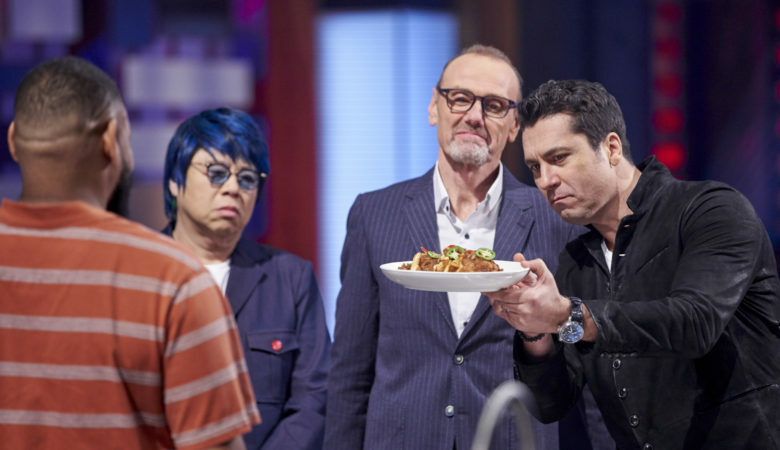 The home cooks travel to the MASTERCHEF CANADA Kitchen to prepare a dish that will convince the remaining judges of their skills and earn them an iconic white apron. 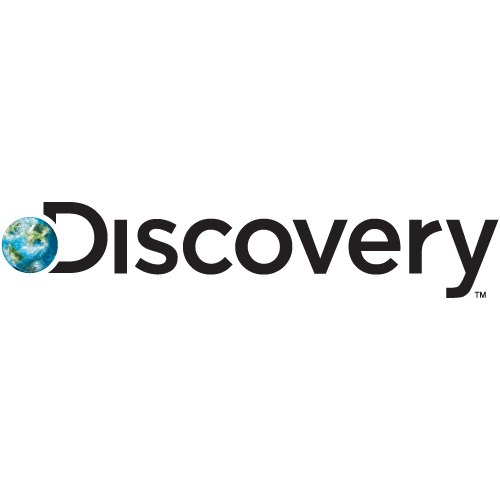 Then, the selected home cooks face their first Mystery Box Challenge of the season, and a meaty Elimination Challenge puts some home cooks in jeopardy. 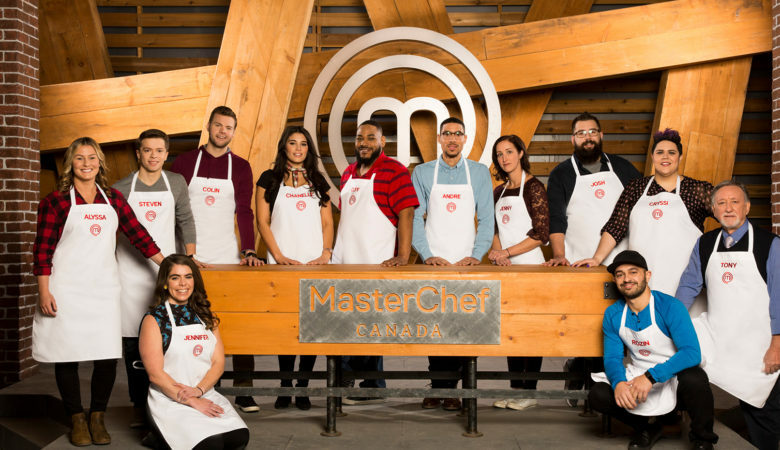 MASTERCHEF CANADA’s remaining home cooks face their first off-site Team Challenge where they prepare a two-course meal for a Caribbean-inspired wedding. Teams are given three hours to make and plate their dishes for 121 guests, who then vote on which menu they prefer. The winning team is safe from elimination, and the losing team must complete a Pressure Test that will eliminate at least one home cook from the kitchen. The remaining home cooks are taken back in time in a Mystery Box Challenge to entice their former teenage selves. A special guest appearance from MASTERCHEF CANADA’s most famous teen, Season 5 winner Beccy, inspires the chefs to elevate youthful classics. The winner is safe from competing in an extra-spicy Elimination Challenge that will end at least one home cook’s journey. 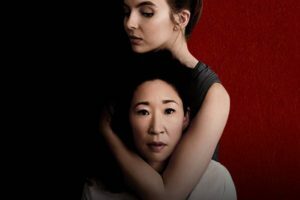 Episode 601 - "MasterChef Canada Invitational"
Episode 603 - "Top Hats and Tails"